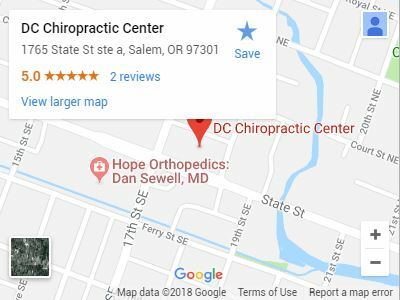 Dr. Daniel O. Cook, DC is your local chiropractor specializing in sports-related injuries in Salem, Oregon. Sports injuries are extremely common and can affect muscles, ligaments, and bones all over the body – not just the neck and back. Chiropractic care for athletes involves more than just responding to spinal injuries. In fact, sports injuries directly related to the spine comprise only a small percentage of the sports injuries we treat. At DC Chiropractic Center, we commonly diagnose, treat, and rehabilitate individuals with injuries related to the extremities as most sports injuries are musculoskeletal ailments in the arms, shoulders, hands, legs, and feet. Our chiropractic physicians are highly proficient in soft tissue treatment and neuro-musculoskeletal manipulation, offering best in rehabilitative care for a variety of conditions. We approach pain and injuries holistically to help our patients manage and recover as quickly and fully as possible. By evaluating your medical history, symptoms, and any issues related to your sports injury, we ensure that we treat not just the symptoms, but the root cause of your pain. Our team looks at your injury with a wide-angle lens, looking at how joints, bones, muscles, tendons, fascias, as well as other factors such as nutrition, may be contributing to the issue. After an injury, nutrition becomes increasingly important as it can either aid or hinder the recovery of damaged tissue. Proper nutrition is also important when preparing for competition, maintaining energy during competition, and preventing injuries and recovering from injuries. Athletes ranging from cyclists and runners to ballplayers and triathletes understand the value of partnering with a chiropractor as part of their routine for maintaining optimum musculoskeletal performance. Chiropractic also helps prevent injury and reduces pain. In fact, many athletes request having adjustments performed by a chiropractor prior to games and races in an effort to further enhance their performance. Dr. Daniel O. Cook, DC does more than just treat sports injuries, he is a specialist in sports injury rehabilitation, automobile injury rehabilitation, and work injury rehab. He has many years of sports medicine and athletic therapy as one of Salem’s best sports injury chiropractors at the DC Chiropractic Center. Dr. Cook looks forward to managing your sports chiropractic treatment as he has cared for many Salem area athletes during his career. His patients have included cyclists, NFL football players, golfers, swimmers, as well as the average sports enthusiast.